Just in time for Millenicon in Cincinnati later in March, the cover for the first book in the Temple of the Exploding Head trilogy is ready to go! 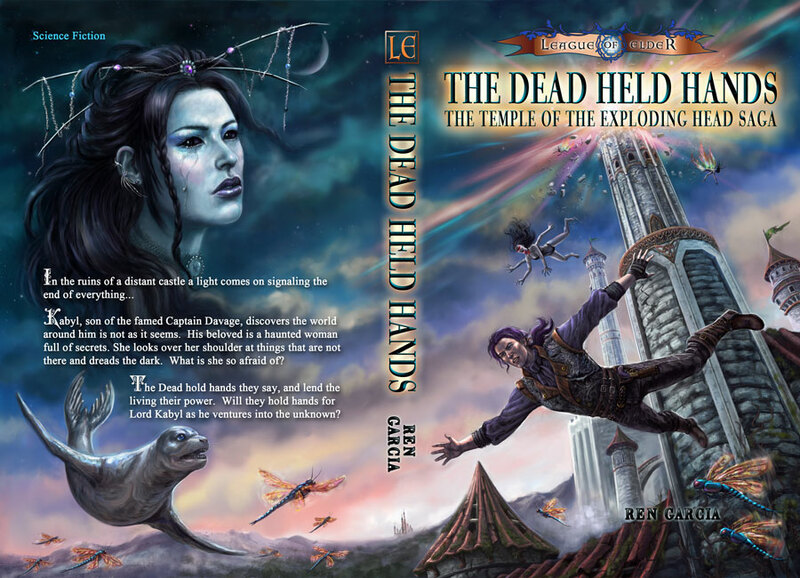 This image, sans publisher logos and the ISBN barcode is the final version of the cover for The Dead Held Hands. I think this one is my Carol Phillips favorite so far. Full of color, I love the composition and feeling of movement. Carol always adds a little “surprise” to the spine of each cover so that it jumps out and catches the eye while sitting on the shelf. In this case, she added an image of Castle Blanchefort in the background. In addition to the amazing cover, there are over twenty maps and illustrations waiting inside the book, drawn and painted by Carol Phillips, Fantasio, Eve Ventrue and Chantal Boudreau. 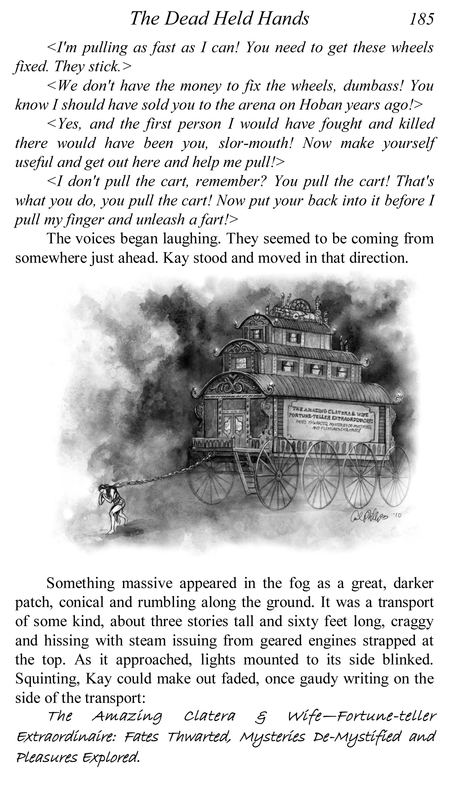 The Dead Held Hands will be out March, 2011 from Loconeal Publishing. Thank you so much, Chris. It’s for great people like you that I write these books. I can’t wait for next month to come around so I can finally share the work with everyone. And, I’m ready to mark my calendar when your next work comes out. I won’t rest until I’ve read it.